Kharé Communications has proudly created media content for OncoSec, a leader in developing biotechnology and engineering in the fight against cancer. We have been privileged enough to be able to not only create their promotional content, but also to document their journey over these past several years. 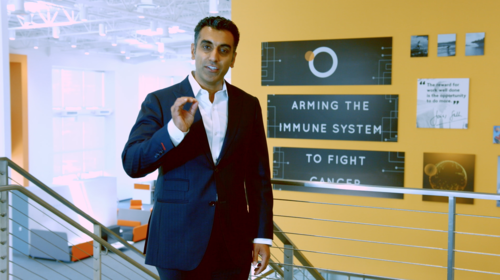 Our team has lead a variety of creative projects for OncoSec, including a ribbon cutting event, a live-streaming presentation to NASDAQ in New York, numerous promotional videos that highlight their latest technology and clinical developments, as well as interviews with their CEO and highest-level officers. We have also designed their logo animations and chosen musical scores that compliment their brand identity. Working closely with a company like OncoSec, it's easy to share in the excitement of the important work they're doing. What's also important is making sure their messaging is clear and powerfully delivered. We achieve this through guided interviews that delve into the heart of the information that needs to be conveyed, without losing the complex scientific and clinical details in the process. Our videos provide a clean and concise view onto the numerous technologies on display. Over the course of a normal production day, our team captures the OncoSec team at work in their own environment - both in the office and inside the lab. You can learn more about OncoSec by clicking on the logo below. You can also watch more of the video content we produced for OncoSec below.